Well, Pikeville High School beat Paintsville about as badly as we thought. KPGFootball predicted the final score would be Pikeville 49, Paintsville 10 and it ended up 36-13. Either way, the score demonstrated, fairly well, the difference between a good Class 1A football team (Paintsville) versus being an elite 1A football team (Pikeville). The sledding will be tough this week as Pikeville will play host to an elite Class 3A football team in the Belfry Pirates. Pikeville will have to be firing on all cylinders to escape this week unblemished. 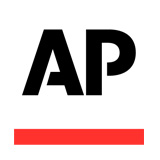 Now, KPGFootball has already submitted its AP votes for this week and we have Pikeville as the top ranked football team in the classification in our submission. Everyone in the commonwealth of Kentucky knows the best two teams in Class 1A are Pikeville and Beechwood, with some quibbling about the order. 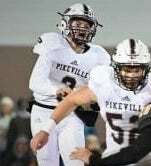 Should Pikeville emerge victorious in its encounter with Belfry, there would be little about which to quibble, in our minds, about whether Pikeville or Beechwood should occupy the top position in the AP’s poll. In keeping with the established formula, let’s break down this matchup and KPGFootball will predict a winner at the end. Connor Roberts performance against Paintsville was certainly one which will be remembered and recounted many times over the years. Roberts completed 11 of his 19 passing attempts for 193 yards passing with 2 passing TDs. Roberts ran the football 11 times for 231 yards rushing and 3 more TDs scored rushing. All told, Roberts accounted for 424 yards of total offense, either throwing or running, and 5 TDs. On the night, the team rushed for 266 yards in 22 carries and 459 yards of total offense. Connor’s favorite target down the field against Paintsville this past Friday night was receiver, Christian Billiter. Billiter had an exceptional night for the Panther receiving unit, catching 4 passes for 129 yards receiving, 2 for TDs. 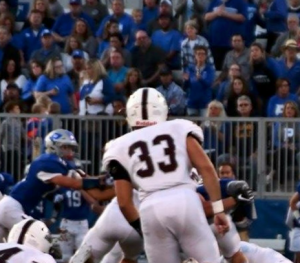 The defense was equally impressive against Paintsville as Jon Collum had a whopping 20 tackles for the Panthers, 16 of which were solos, with 2 tackles for loss and a quarterback sack. Kaden Caudill registered 12 tackles, 8 of which were solos. Jesse Sparks had 8 total tackles and 2 tackles for loss with a quarterback sack. Jackson Mullins had 6 tackles, 2 tackles for loss, and a quarterback sack. Connor Wright registered 6 tackles, all of them solos, throwing in a quarterback sack. Bradyn The Bull Hunter also contributed a quarterback sack on the night. All told, the Panthers registered 10 tackles behind the line of scrimmage broken down as follows: 6 TFLs and 4 QB sacks. Kaden Caudill forced a defensive fumble which was recovered by Jackson Hensley and Seth Pugh intercepted a Paintsville pass. Belfry is going to be a season defining challenge as the Pirates opened the season losing 17-9 to a Huntington, WV football team which is considered one of the elite teams in the entire state, playing in that state’s largest classifications. By the way, the Highlanders are undefeated on the year and Belfry is the only team which has given them much of a game. Since losing to Huntington, the Pirates have routed both Lexington Bryan Station, a Class 6A opponent, and Newport Central Catholic, a Class 2A opponent. Belfry beat Bryan Station and Newport by a combined score of 96-33. 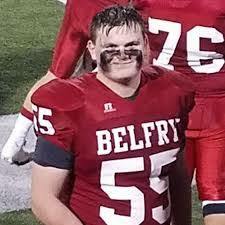 Belfry is very big, up front, and boast the premier offensive line in the Mountains, in the 3A classification, and in the commonwealth of Kentucky. Belfry is particularly good, up the middle, with Division 1 offers being presently held by its center, Ethan Wolford (Big E) and guard Dagan Rash. News flash for you Panther fans, the Pirates are coming up to the line of scrimmage and going to try to run it down-hill at you all night long. Belfry is a team which is hard to blow out because you just don’t get too many possessions. If they get the running game going, they have plenty of speed in the backfield with Isaac Dixon and Peyton Hensley to hit seems and be gone if they can pull even with your back four. The Pirates are led by an All-State linebacker who is getting a lot of college attention in Grayson Cook. Cook also kicks for Belfry and has been automatic on both PATs and field goals so far this season. Cook is a rangy, 2nd level defender, who is adept in coverage or coming up to take on the run. Cook has the length and speed to be effective defending the intermediary passing game and the bend, size, and speed to rush the passer and defend against the run. He will be a challenge to block effectively, either with a back or a guard assigned to challenge him. Austin Fields, a senior, is a star for the Pirate defense too. Fields wears number 59 and starts at the MLB position. This is a very solid football team and very well coached. Head Coach Phillip Haywood has won over 430 football games in his 43 or so years of coaching high school football, has won 6 State Football Championships, and is the only Kentucky Coach to ever be named the National High School Coach of the Year. 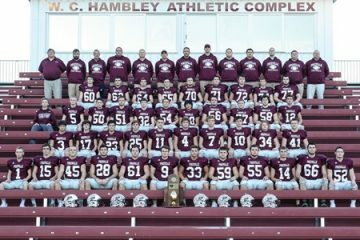 This is a really big opportunity for Pikeville to make a statement which will be heard around the classification. 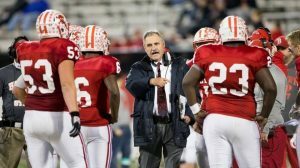 Beechwood had the same opportunity in playing Corbin, Friday night, resulting in a swing and a miss, as Cobin turned back Beechwood 21-14. There is no doubt, in my mind, that Corbin versus Belfry would be a pick ’em game in that an oddsmaker would be, likely, unable to establish either a point spread or favorite. Last season Belfry and Pikeville played at Belfry with the Pirates blowing out the Panthers 56-13. As was demonstrated, in turning around the Paintsville outcome from last year just this past Friday night (Paintsville beat Pikeville 28-0 last year in Paintsville while losing 36-13 this year in Pikeville), this isn’t last year. I believe these teams to be fairly even and Pikeville is at home, which odd-makers will tell you is worth 3 points. 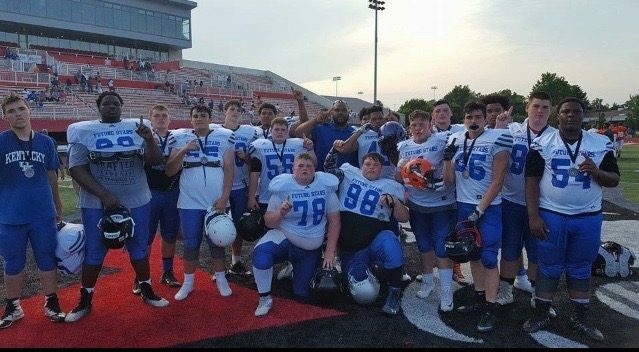 Join us next week as we look back at this game and preview the next match-up and give us a follow on Twitter @KPGFootball and subscribe to the on-line magazine by going to www.kentuckyprepgridiron.com and follow the prompts. Until next week, Panthers, this is Fletcher Long, reporting for KPGFootball, reminding all of you ballers out there to PLAY THROUGH THE WHISTLE.